Betting and sports have gone hand in hand since either of them have existed, so it’s a sensible partnership whenever we see betting sites teaming up with professional sports teams. It benefits the teams because sponsorship money can make a big difference when it comes to operating costs and hiring talent, and it’s great for the sites themselves, especially with the rise of mobile gambling, so people can see the ad, sign up, start playing on their phones, without having to stop watching the game. When the new sponsor was announced, so were their new home kits, made by Adidas. The new look was unveiled at a pre-season game leading into the 2017-2018 season. Of course, responsible gambling is always important to emphasize. One should never wager more than they can comfortably lose. When you have an online casino’s logo on your shirts, and all around the stadium, it’s also important to play a role in making sure it remains a game. When you have something that’s as popular as football, and appeals to such a diverse audience, especially in regard to the age of their fans and having many young fans, teams are always careful to work with sponsors that are ethical and aren’t promoting anything that is damaging to society, so it shouldn’t come as a surprise that Grosvenor takes their responsibility seriously. GrosvenorCasinos.com is owned by The Rank Group, and here’s what their Chief Executive, Hendy Birch, had to say about the deal between the club and the casino: "Both the Club and Grosvenor Casinos have strong brands and proud histories and we look forward to working together and supporting the Club and fans." 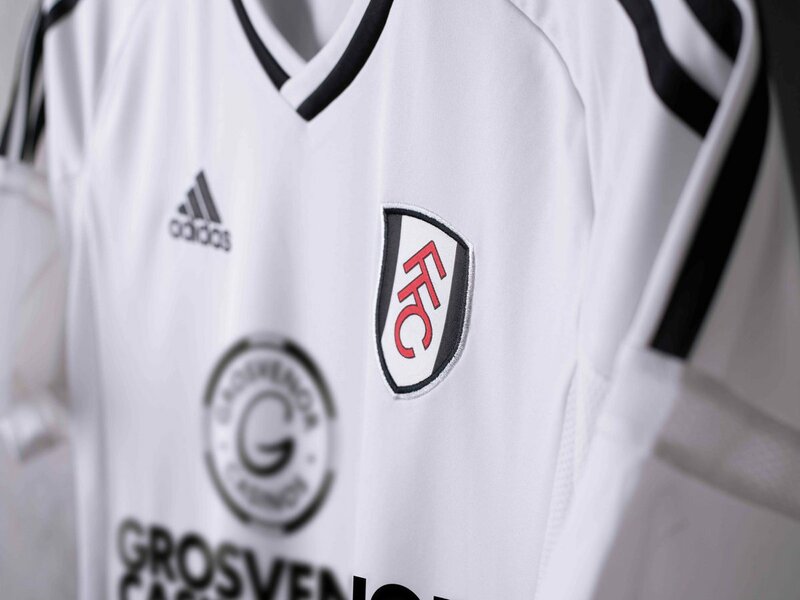 On Fulham’s side of things, they’re also pleased with the deal. Their Chief Revenue Officer, Casper Stylsvig, was quoted as saying: "I am delighted to welcome grosvenorcasinos.com as Main Team Partner.” He went on to say "We are thrilled to have a partner on board which matches our ambition of delivering a first class service and experience and we look forward to working together." GrosvenorCasinos has exclusive branding rights for the Putney End stands at the stadium, which is the stands that are the most to the south of Craven Cottage, the iconic home of the team since 1896. The initial deal is for a couple of seasons, which gives both parties ample time to evaluate and ensure that it’s mutually beneficial. It’s enough time for Grosvenor to evaluate the impact of the sponsorship, and also doesn’t lock the team in for too long, in case other offers come around to take over sponsorship of the coveted front area of player’s shirts. Teams also need to find the right balance, because having too many sponsorships can start to turn-off fans with an overabundance of advertising, so it’s usually beneficial to have a few very strong sponsors, rather than a lot of smaller ones.